I’m a self-confessed monolingual individual, and as someone who appreciates other cultures and people, I’m a bit ashamed to say it. Knowing multiple languages seems to be the thing these days, and I’m trying to keep up. 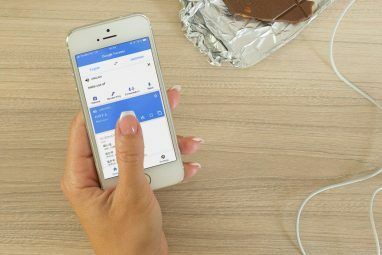 In the meantime, I rely on Google Translate for my iPhone Are You Addicted To Your Smartphone? Are You Addicted To Your Smartphone? At one time, landlines and payphones were all we had--and we survived just fine, thank you very much. But now, it’s almost laughable if you don’t own an iPhone or Android, and for some of... Read More . 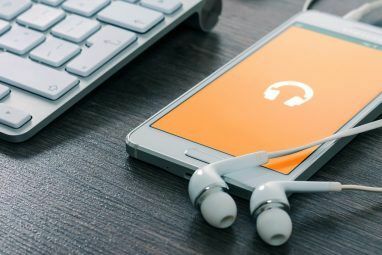 With features like voice recognition and favorited phrases, the app has taken a gigantic leap from the browser-based version we all know and love. In essence, the app makes my iPhone a Trekkie-type of communication device! It’s certainly not perfect, but it’s a fun tech toy that has the potential to help in almost any situation where words could be lost in translation. The core function of the Google Translate app is, of course, to translate, and with 64 languages available, it’s already off to a great start. Seeing that I don’t know 64 different people who each know a different language Understand Any Language With These 5 Language Translation Websites Understand Any Language With These 5 Language Translation Websites Technology has made the world a smaller place. People from every part of this planet use many of the same tools, visit some of the same websites, and mix in various chat rooms online. The... Read More (or even one person who knows 64 languages), I wasn’t able to check the accuracy of them all. Even still, based on what I did translate, everything was fairly accurate. One point that this app made clear to me is that it is actually designed to serve as an active translator. While the browser version is primarily used for translating websites or even emails, this app is meant for translating languages in real-world situations. Practically speaking, the tool would be better suited for common, necessary questions or statements regardless of the translation. As you know, syntax patterns vary from language to language, and it would be best to just keep it simple to avoid mistakes Write More Good: 7 Free Online Tools To Ensure You Use Proper English Write More Good: 7 Free Online Tools To Ensure You Use Proper English Improper use of English is one of my pet peeves. I’m not a full-blown "grammar nazi" (a colloquialism for someone very strict with grammar) but it does irk me. An exception can be made for... Read More . Another feature I really like is the in-app voice-to-text function. With the push of the button, you can say a phrase in your native tongue, and the app will translate it for you! (that’s some real sci-fi stuff, right there). Unfortunately, only 17 of the 64 languages can use this feature, and because we all know voice recognition still isn’t perfect, it’s very important to enunciate if you opt to use voice-to-text. As I already said, it seems as if this app is literally designed for on-the-go communication. For instance, you can save specific translated phrases to a favorites list, and this is great for a variety of potential situations: asking how someone is feeling, telling someone that you don’t speak the native tongue, getting directions to the nearest restaurant… This is perfect for all that. Even more importantly, as you may know, human beings tend to use the bathroom on a fairly regular basis. With that said, it might be a good idea to know how to ask where the facilities are regardless of what country you are in. 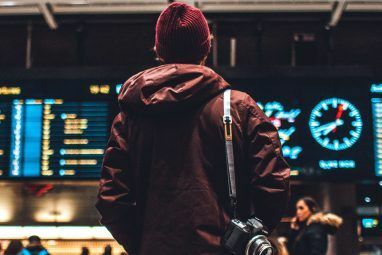 Rather than frantically flipping through a pocket-sized traveler’s book to find the required phrase, you can just save it to your phone to use whenever needed. Better yet, you can still use these phrases even if you don’t have access to the Internet. Another weird, seemingly-useless app attribute is its flash-card-style, full-screen text translations. Why in the world would anyone even want this? Well, imagine walking through a busy Middle Eastern market without much knowledge of the language. The handy text-to-audio feature would be rendered useless in such a loud crowd, and even trying to sound out the words to the merchant with the phonetic spellings might be difficult. With the full-screen text, you can just flash your phone at the seller and ask for the price on that lovely glass unicorn. On a semi-related note, the graphical interface of Google Translate is clean (as you would expect with Google), but I did not notice that they have not optimized things for the iPhone 5. As you can see in all of the images here, you’ll see some nasty black borders if you are using the elongated screen. Just know that the full-screen text translations won’t be taking advantage of that extra screen-space if you’re an iFiver. As with most of Google’s apps, this is a very simple one. Rather than pack a bunch of features into one big app, it serves its purpose quite efficiently without any distractions. Furthermore, despite being limited by voice technology and typical language boundaries, Google Translate does exactly what it intends to do. If I could improve it, I’d add real-time voice translation via headphones and A.I. to properly translate phrases, but I don’t think the technology is quite there yet. With that said, I’d say Google is doing the best it can for right now. What’s your experience with Google Translate? Have you used Google Translate while traveling? Explore more about: Google Translate, Speech Recognition. Best test of a translator (even a human one) is to get a translation back from any work he/she/it has done for you. In the human case, perhaps one should try a second source for the reverse translation. The app is excellent for quick references, but it is only about 65% accurate. It translates literally, and doesn't account for context. That's why I don't use this app very much. I have used this app a few times and works great. Very good resources to explore.